Baymeadows Road is in line for a much needed facelift. 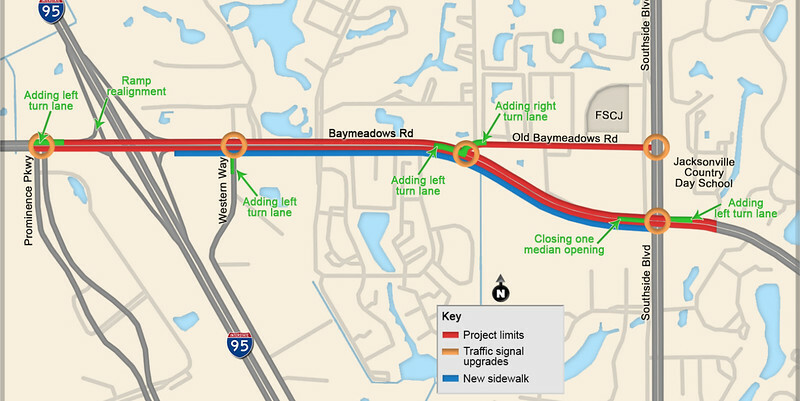 Work is underway on the Florida Department of Transportation (FDOT) plans to spend $6.6 million upgrading Baymeadows Road and improving pedestrian safety along this busy Southside highway between Prominence Parkway and Southside Boulevard. Here's a look at the details. Adding a second turn lane in Prominence Parkway going Westbound on Baymeadows Road. Various improvements on Western Way starting at Western Way Circle going north to Baymeadows Road. A second turn lane will be added going west towards I-95. West and Eastbound improvements at Baymeadows Road and Old Baymeadows Road intersection also adding turn lanes in each direction. Various improvements at Baymeadows Road and Southside Boulevard in addition to adding a turn lane going west on Baymeadows onto Southside Blvd. 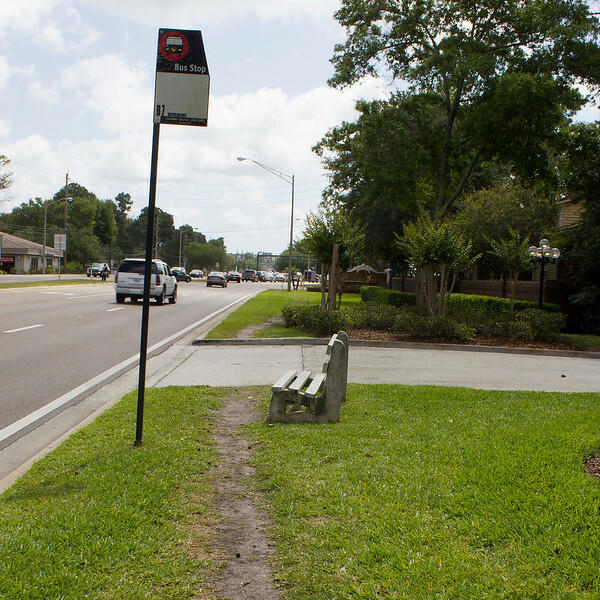 Safety measures for pedestrians include building a sidewalk on the south side of Baymeadows Road, installing countdown pedestrian timers at crosswalks, and closing a median opening on Baymeadows Road located west of the Southside Boulevard intersection. The 320 day project is anticipated to be completed towards the end of 2017. Plans call for construction to take place on weekdays and weekends. There will be no lane closures from 6 a.m. to 10 p.m. Monday through Friday on Southside Boulevard, Western Way and the I-95 ramp. No closures will be allowed from 7 a.m. to 11 p.m. Monday through Friday on Baymeadows Road and Old Baymeadows Road.